i use a Wii Remote with touchmote as lightgun. is this possible RH loader support all PC games?. 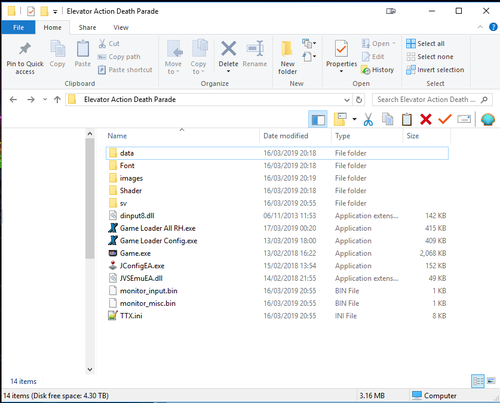 if i provide you some PC game's exe files for RH loader then will you make me Rh loader supported file? who is the owner of RH loader??? please make RH loader universal PC games for all. Game Loader supports only PC based arcade games. There is no support at all other than that, and there is no plan to support it. Game Loader is uploading with my personal hobby. Thank you, I'm pretty sure that has sorted it, played through 4 games and no errors, before I was lucky to get half a game completed before it would spaz out. would you please teach me how i overlay text as your RH loader showing like that. please i need to learn this overlay. i have directX 9 overlay dll but i know to learn like your RH loader overlay. your overlay working all games... please give me trick or source code... its honestly request to you. Game Loader is not overlaying on the game. It simply displays text and bezel images in front of the game screen. I use AHK Script to display the bezel image. Even me who can not understand English can understand a little, so you can learn easily. And please stop asking more questions. My English skill is 0. The reason for renaming is to avoid the trouble in consideration of the PC on which autohotkey.exe is executed. And I have no intention of creating AHK script for you. Why do I have to create an AHK script for you? . Ask questions in the Autohotkey thread. I am always hated by people. Finally, please do not send private messages many times. my last question bro... why gl.exe you are using in rh loader? 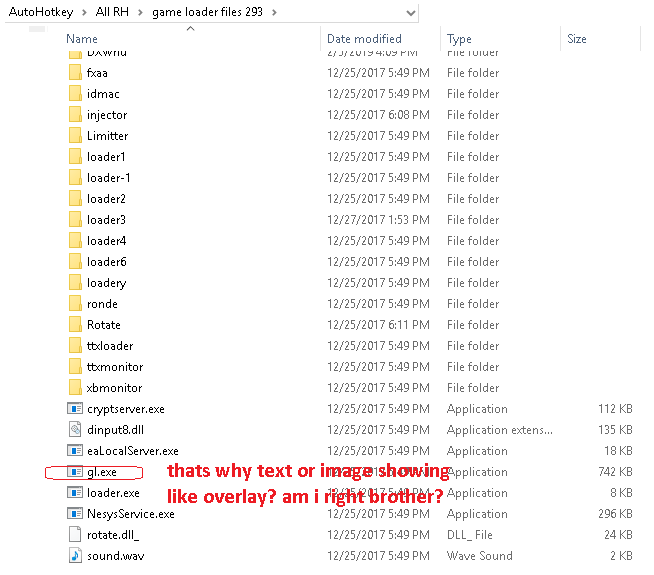 i feel game exe run in this loader thats why ahk text showing as overlay other wise ahk never show always on top during active full screen. I tried Game loader v328 with loader mode "dg" on Gigawings Generations. It works quite well with amazing HD screen but it introduces some stuttering. Is there any way to fix that? would you please make very simple PC game RH loader or any launcher which showing your name in bottom line like this. i know your rh loader only for PC based arcade games. i tried your RH loader for Microsoft window games but RH Loader not run game. but after so many try game run by RH loader but there is no green text v.0.3.2.8 showing. brother i don't need any graphic resolution setting but i just want your rh loader run any PC game and must show text bottom line. please do me a favor and save a life. LoaderMode = dg has severe stutter problems in some games. However, it is not necessary to set LoaderMode = dg when converting Gigawing to HD. For example, you can set it to HD by setting LoaderMode = 6, full screen, and setting the internal resolution of the Loader setting 2 tab appropriately. I think this can solve the stutter problem a little. its very simple gui with always on top.. and that is not working in game during full screen. dear bro i have many directx 9 dll overlay. but RH loader overlay is awesome and 10000% working. i have tried all nesica taito and tekno games.. when your v.0.3.2.8 showing in game then ahk gui showing easily..
any why thanks for giving me your precious time. Please run on the folder with game.exe. If you can not do it, let's give it up. Is there a FullHD exe (even a fake HD version) of Melty Blood AACC 1.07 ? once again extremely thanks to you for response me... all this things are very useful for me. i think ahk gui only works on emulators. when i try this on Microsoft or PC games then that is not working. only game run but text overlay not showing. there is a Subway Surfers game. i made a Launcher for arcade system. Note: i used direct 9 dll for overlay. it works only direct 9 games. but i want to overlay text in any games like your RH loader... so please try your RH loader on this game. if your RH loader showing v.0.3.2.8 in this game (Subway Surfers) its mean we don't need any API Directx 9 10 11 etc.. I am not interested in what you want to do. I cannot manage to get a proper fullscreen image of the game when loader mode sets to 6. The image is always cropped. oh! Custom resolution! It works! A big thank djexpert.for your support! I got all the games 16-24 running within game loader but 15 is still not playing fair with game loader. I have just started to use this Loader but can someone please tell me how to set it up and how to attached to exe files to load as I have read the front page and watched so many Youtube videos with no luck. I'm sure it's simple but just don't know how to get it running. Pokken Tournament and Wangan seems to have issues with 328, There is also alternetive to use Jconfig something you would look into adding :)? Monkey Ball can also be run through TP. Anyone have a link for older version as that was working before? Those mirrors does not work in My browser and jdownloader reports server error. However, please do not use when different from your version. Use the old TP (v1.80), there is no point in using the old Game Loader. Game Loader runs the game in the usual way provided by TP, but in the above game v1.80 and later seems to be broken. Specifically, it uses the "--emuonly" argument. As far as I know, there are currently problems with the following games. I have previously asked the administrator about how to execute with the "--emuonly" argument in Discord, but unfortunately it was ignored. I hope this problem is solved.